Pop-up station BBC Music Jazz, a collaboration between the BBC and Jazz FM is return this November for five days during the EFG London Jazz Festival. The station will be on-air for 96 hours from the 10th to 14th November 2016, following last year's successful debut. Key BBC radio content highlights include over 25 hours of jazz documentary programming from the BBC archive, featuring jazz icons such as Miles Davis and Louis Armstrong. A BBC Radio Scotland series, Godfathers Of Jazz, explores the work of great pioneers of the genre, including Lalo Schifrin, Herbie Hancock and Tony Bennett, who is 90 this year. Jools Holland presents Leader Of The Band: Chris Barber Story, a two-part documentary about the trombonist, bassist, bandleader and pioneer of British jazz and blues. Jamie Cullum presents several programmes of interview and performance highlights from his Radio 2 programme, including a special BBC Music Introducing show. All four of Radio 3’s dedicated jazz strands feature on the pop-up schedule, with Soweto Kinch presenting Jazz Now live from Pizza Express, and special editions of Jazz Line-up, Jazz Record Requests and Geoffrey Smith’s Jazz. Host of Radio 3’s poetry and spoken word programme The Verb Ian McMillan presents The Jazzverb, and Tom Service presents a special jazz edition of The Listening Service. As part of its partnership with EFG London Jazz Festival, Radio 3 broadcasts several live concerts starting with Jazz Voice, which opens the Festival. Highlights of Jazz FM’s programming include evenings celebrating great jazz icons Quincy Jones and Cleo Laine. David Bowie Jazz Genie looks at the influence of Bowie on generations of jazz musicians, and at the influence jazz had over Bowie’s music. Jazz FM also explores the differences between the British and New York jazz scenes with special editions of two regular programmes; TransAtlantic Jazz with Marcus Miller and True Brit with Helen Mayhew. Former Radio 3 presenter Jez Nelson - who re-joined the commercial station in the spring of this year - returns to the BBC with a special edition of his Jazz FM show Somethin’ Else. 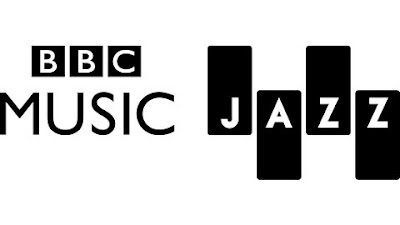 BBC Music Jazz will be available on iPlayer Radio and DAB. "As a station Radio 3 has an illustrious history of broadcasting jazz and connecting audiences with pioneering music and culture, as well as supporting new talent and broadcasting from major festivals like EFG London Jazz Festival. What better way to help celebrate our 70th anniversary than to come together once again with our sister BBC radio stations and Jazz FM to bring an astonishing amount of new and archive content to jazz obsessives, the uninitiated and everyone in between." "BBC Music is keen to partner with the industry to ensure the very best of music is getting to audiences across the UK and further afield, which is why we’re excited to unite the best of jazz radio under one roof in such an ambitious way." "It’s a privilege to be working with BBC Music and Radio 3 again following our groundbreaking collaboration in 2015 with the EFG London Jazz Festival. This year’s pop-up digital radio station will reflect the tangible increase in popularity for jazz across the UK over the last year. We are delighted that the station will include substantially more content from Jazz FM with specially commissioned shows and some of our most popular archive material." "Serious is thrilled that once again the EFG London Jazz Festival forms the backdrop to the innovative and exciting partnership between BBC Music, BBC Radio 3 and Jazz FM which forms BBC Music Jazz, enabling us to reach an even broader audience. The Festival is committed to engaging both live and digital audiences and enriching the experience for all; BBC Music Jazz is the perfect platform to realise this ambition."